Race Review: Standard Chartered Bangkok Marathon 2015 (by 'Dropthepoptart') | JustRunLah! 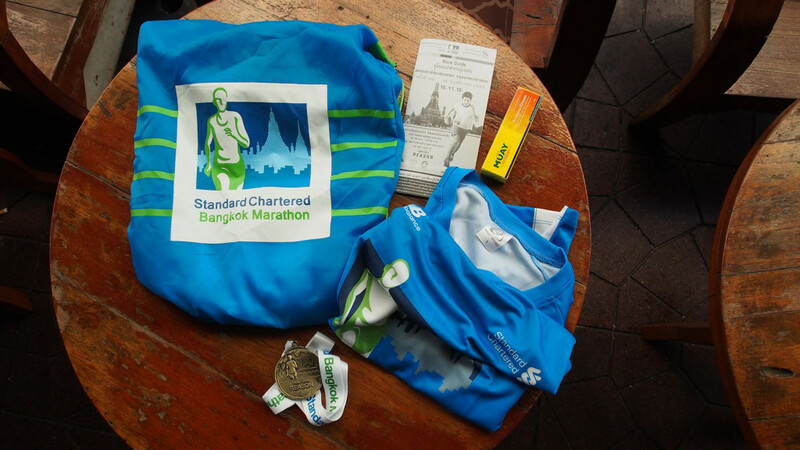 After much contemplation and a hard time deciding over running in Indonesia (Jakarta Marathon), Thailand (SCMBKK) and Vietnam (Halong Bay HM), I decided to register for this year’s Standard Chartered Bangkok Marathon (HM category) which took place on 15 NOV 2015. Online registration was pretty straight forward. Foreigners could only register via www.gotorace.com. However, double-pricing policy was implemented – This means foreigners paid almost doubled as to what the Thais would have to pay. Entry fee is in USD (foreigners). The race expo may be of a slight disappointment as much of the booth that were set up wasn’t any much related to running. But for someone like me who dislikes wearing fanciful gears while running, I wasn’t in anyway bothered by this. Met a few runners from Singapore and Malaysia as well. Collection of the bibs and the entry went smoothly with the help of a friendly volunteer. Soon, I found myself wandering around the expo; visiting booths that were promoting other (interesting) races taking place throughout Thailand in 2016 ( which you can register on-the-spot too!). Yes, my running bucket-lists keeps getting longer. It wasn’t really hard to find the race site. Despite the lack of English signs, navigating around wasn’t tough. There were water stations, toilets, more photo booths and free warm-up balms. The World’s Longest Half-Marathon / Ultra Half-Marathon. Flagged off at 0400. No delays. 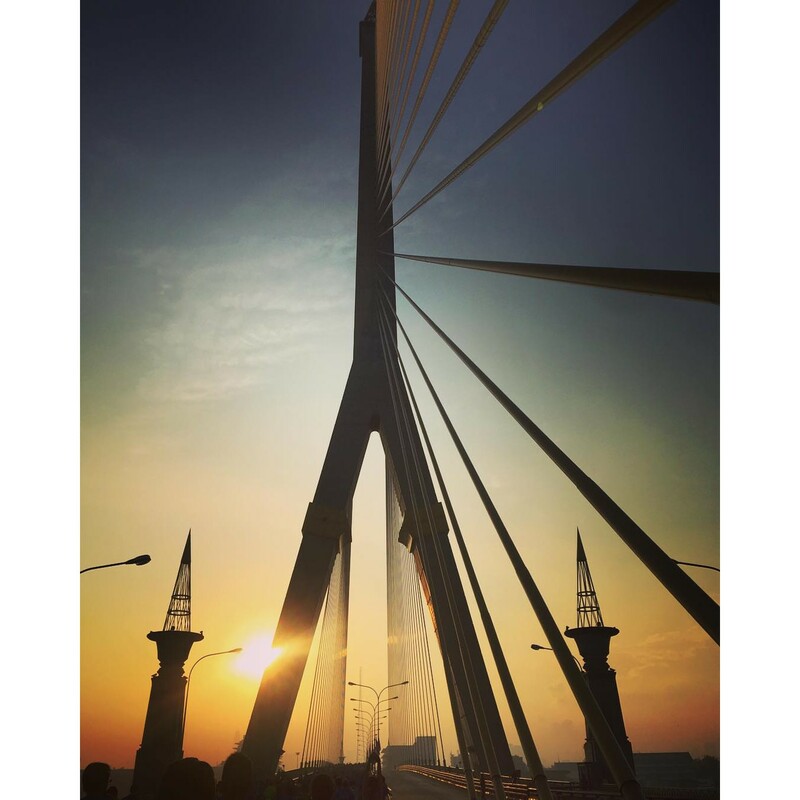 Started off at the main tourist point (just at the side of the Grand Palace) and after about 2.5km of running (with first elevation at Phra Pinklao Bridge), we were brought into an elevated highway leading us away from the city. Humidity starts taking its toll despite an early flag-off. I had to stop at the first water station to re-hydrate myself. The scenery along the highway wasn’t remarkable – boring in fact (but I’m glad it wasn’t the same old GBTB or ECP). Rama 8 Bridge up close. Somehow wishing that the U-turn point for HM would come soon. Even though I didn’t not really analysed the race-route beforehand but I wasn’t expecting that we would be running further and deeper onto the highway. Unfortunately, we did. It keeps dragging on and on. I felt something was amiss but kept running (and stealing a few glances at the bibs of other participants to convince myself that I’m running in the correct category). Eventually we did a U-turn after what it seems like 8km and back on our way towards the city; merging with the FM runners. All I could think of was finishing this race; stopping at every water station to combat the humidity. Soon at the 29km mark for FM ( I did not wear or had any tracking device on me so clearly I had NO idea that we just had ran the unintentional additional miles) we crossed the Rama 8 Bridge. 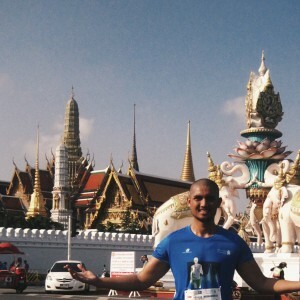 Back into Bangkok city districts we ran past places like the Dusit zoo, Vimamek mansion and Ananta Samakhom Trone hall. At this point, it seems like the race is never-ending. Morning Sun rises and heavy traffic resumes. With no idea of the mileage that I’ve ran and that heat is wearing me out, I broke into a power-walk. So did everyone else. Clearly from their expressions, they just wanted to finish this. And to confirm my suspicion that we ran longer than we should, I had to ask a fellow participant (equipped with GPS). 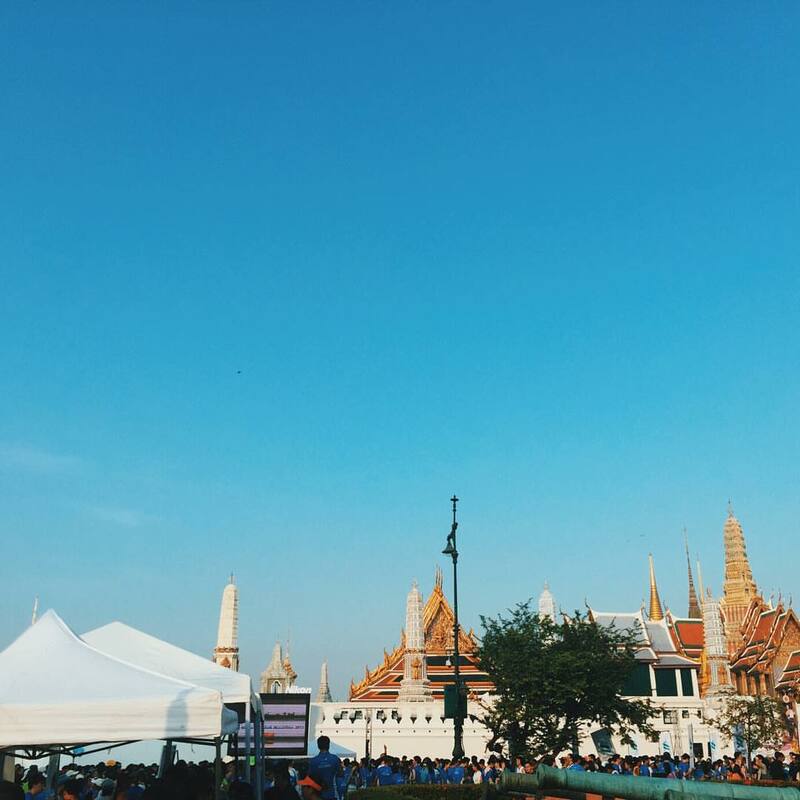 I trudged on a few kilometres, cursing myself under my breathe, until the sight of the Grand Palace greeted me. No longer aiming for a PB or whatsoever. 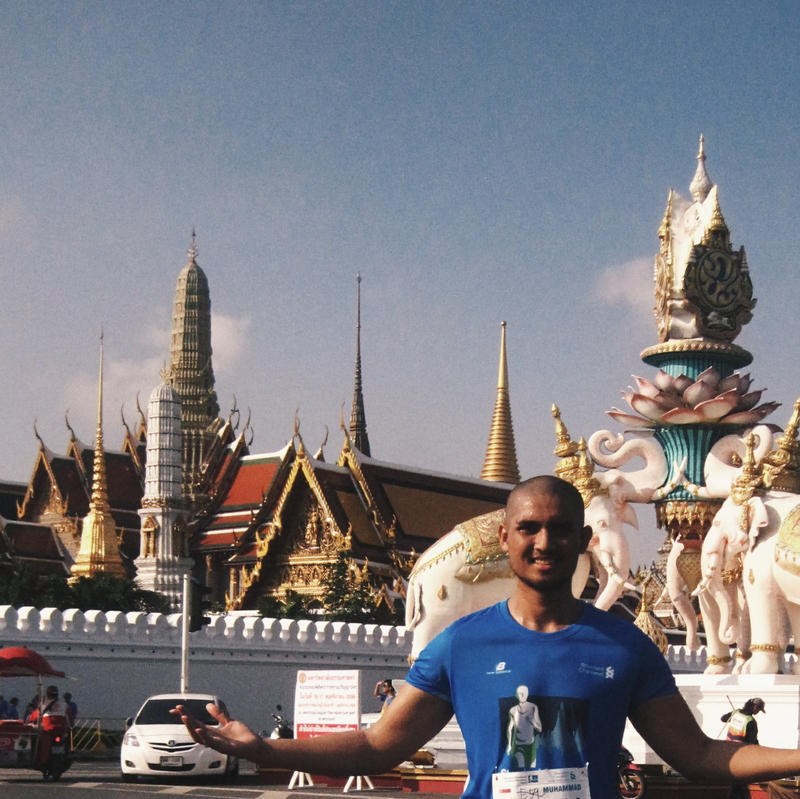 I summoned into a slow jog as we ran around the Grand Palace and finally to the finish line. Again, I asked another participant. She showed her tracker which reads 28++km. 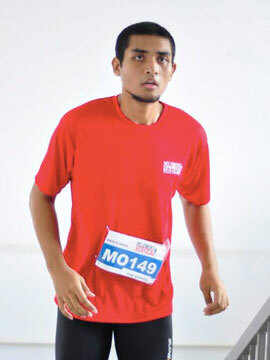 Indeed, I just finished the World’s Longest Half-Marathon or Ultra-Half-Marathon. Mandatory photo with the Royal Grand Palace in the background. Sneaking my way through the massive crowd I quickly collected my post-run breakfast and baggage and walked back to my inn for a short rest before heading out exploring the city of Bangkok. Water stations spread out evenly and despite undermanned at certain stations – sufficient hydration + Banana + Watermelons. ‘Finisher’ or more like a commemorative medals given out during REPC. No finisher distance engravings. Not much support/encouragement from locals. Double-pricing policy. They should just charged us overseas runner in Thai Baht. Despite the major hiccups of the race, it wasn’t a badly organised race but it’s definitely isn’t worth coming back to. 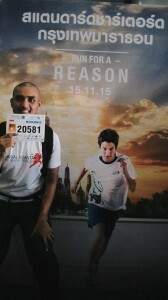 I would only recommend this if you happened to plan your race-cation to BKK in November. 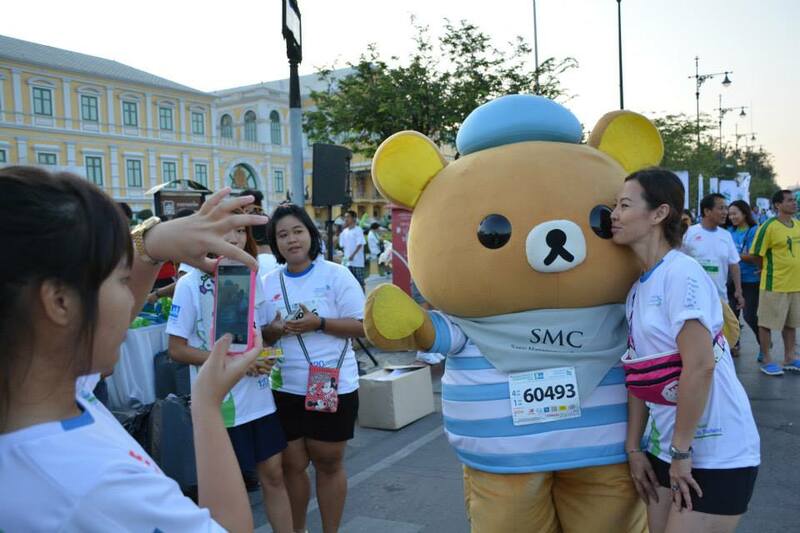 Else, there are better running events in Bangkok or somewhere else in Thailand that’s worth running. The experience of running an ultra half-marathon? Priceless. 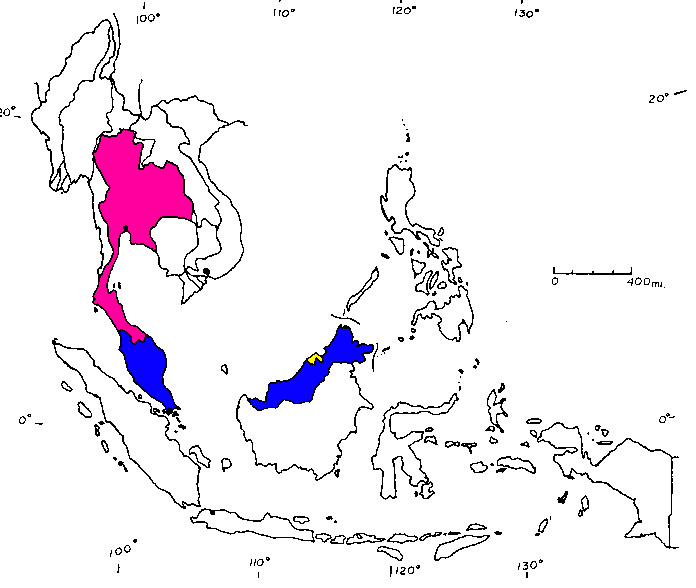 Conquest to run SouthEast Asia. Singapore, Brunei, Malaysia and now Thailand down (colored). If you are thinking about running in Indonesia, Bali Marathon seems to be better option than Jakarta Marathon. Hi, indeed. But at that point of time I was planning to go year-end. So Bali obviously is out of questions . Plus, it’s a fast sell-out event. It sold out before I could had a chance to register. Hi! 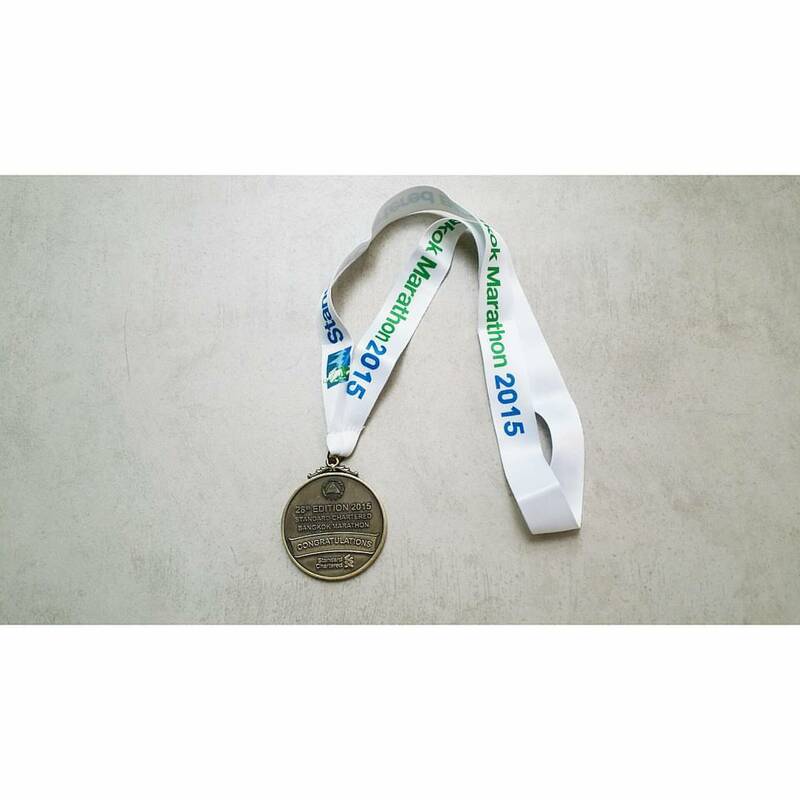 Try the Hatyai Half Marathon. It’s not bad at all. Come and run Khon Kaen International. Not badly organised first half in dark most interesting part of course then ring road to finish. Nice hill Kilos 34-36 then gradual downhill to finish. It is a fun event and not overcrowded.